The Wix vs Solo Build It Study how do they....Compare? 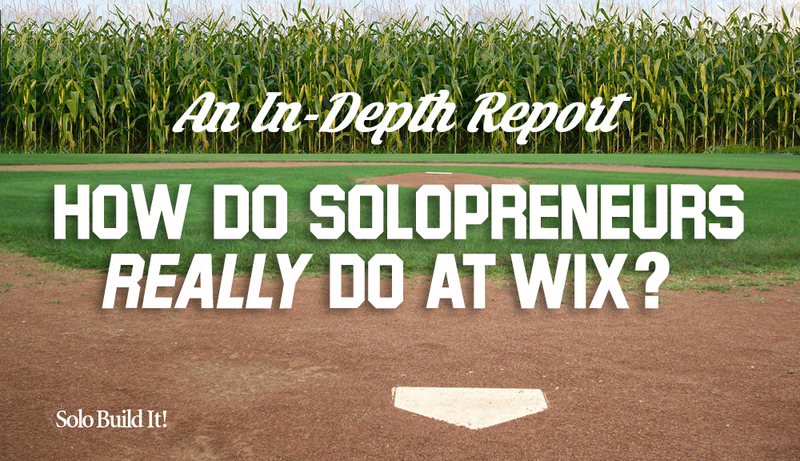 The Wix vs Solo Build It Study how do they compare for start up business building? Business building has never been easy but doing the research and finding the right platform can give you the edge. Understanding the short comings of inferior platforms and business opportunities can limit and also restrict many business start ups to market with negative effects. To determine the correct business building tools and market potential once your business concept moves from idea to reality is an important factor for any business venture comparing different platforms and understanding the technical advantages and disadvantages of each platform are keys to success. Many platforms offer fancy graphic tools and e-commerce shopping systems but what's that if you don't have any products or traffic well yes what about traffic! and products! also good knowledge, ideas they are the most important for any business and networking with like minded entrepreneurial people that have a proven track record of business building success using the a proven platform. Creating opportunity in business is crucial it drives and motivates all of us to achieve goals and dreams that give us the natural adrenalin to improve our lives but not just for us but, many people. Many times people have the wrong mindset they believe they will fail if they try something new or a new type of venture this needs to be changed as failure is part of winning and people need to understand this process but not dwell on it. Strengthening our mind so we can quickly change and correct things that go wrong are critical and takes practice adapting your mind that you are strong mentally and can absorb failure will put you into good stead this way you listen to advise from other people but you have a good strong mind with strong analytical problem solving skills and can determine quickly what needs to be done or changed to get the right result. Technical results you require from platform construction techniques. Idea generation niche aspect or mainstream. Develop a list of your business needs and objectives write them down and look at the study below for solo entrepreneurs to gain an advantage you could be well surprised!... at the key factors needed.